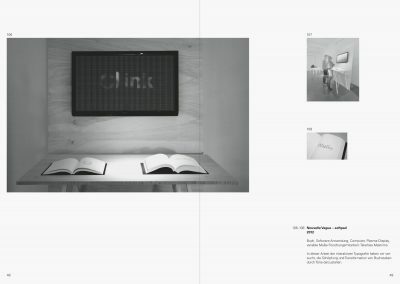 Exhibiting media art, media installations and interactive, time-based media is creatively, always a challenge. 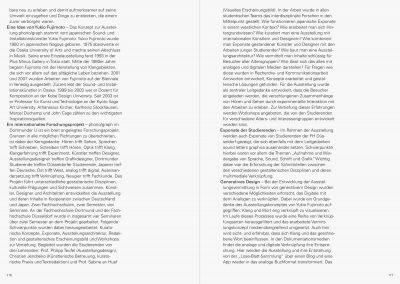 In 2012 this challenge of the exhibition »phono/graph – sound letters graphics« was managed masterfully by the Dortmund U. 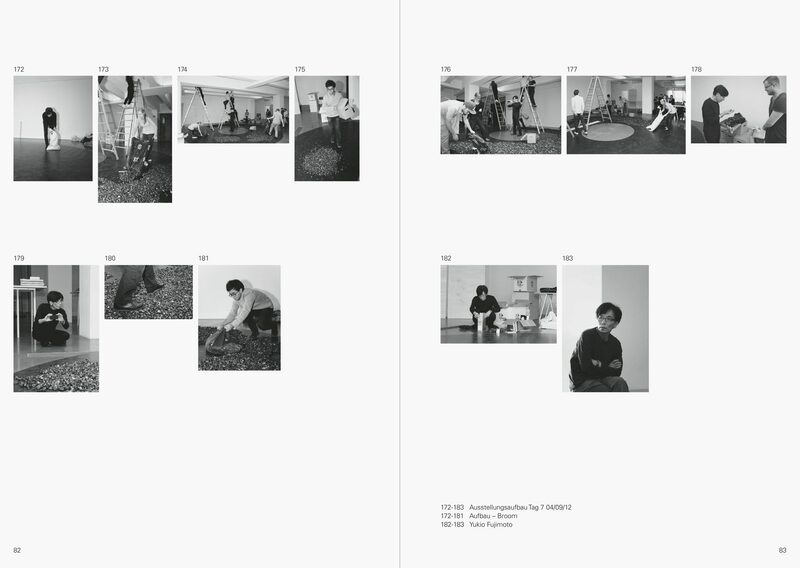 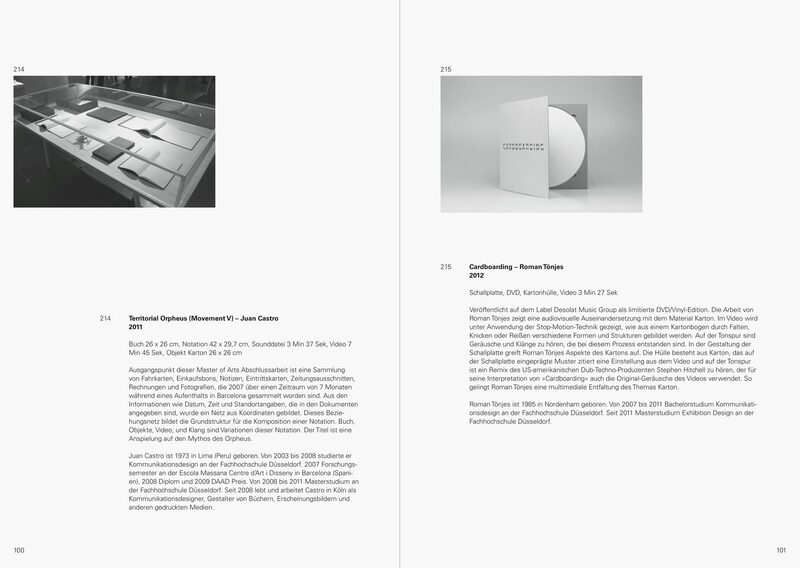 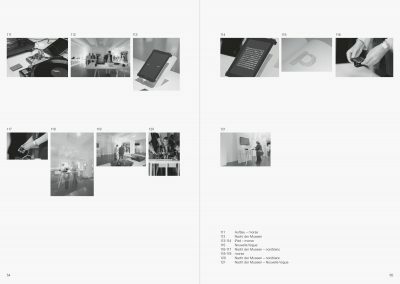 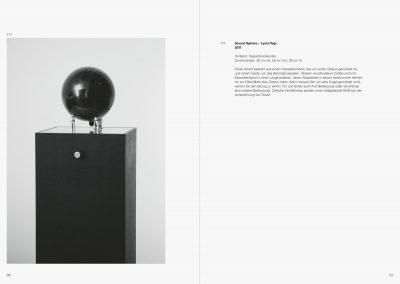 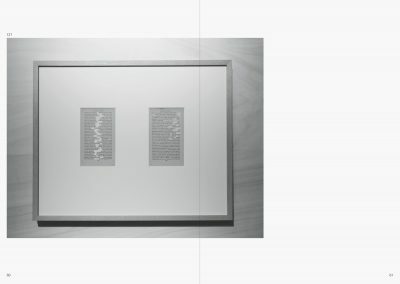 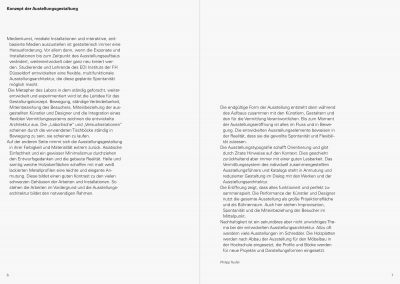 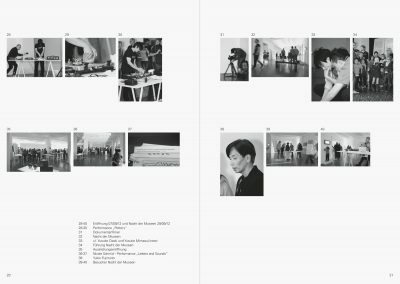 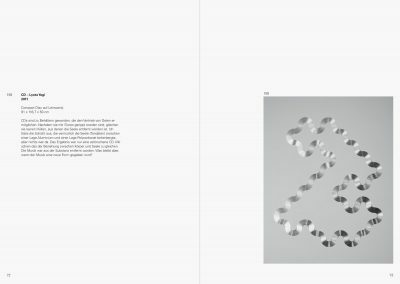 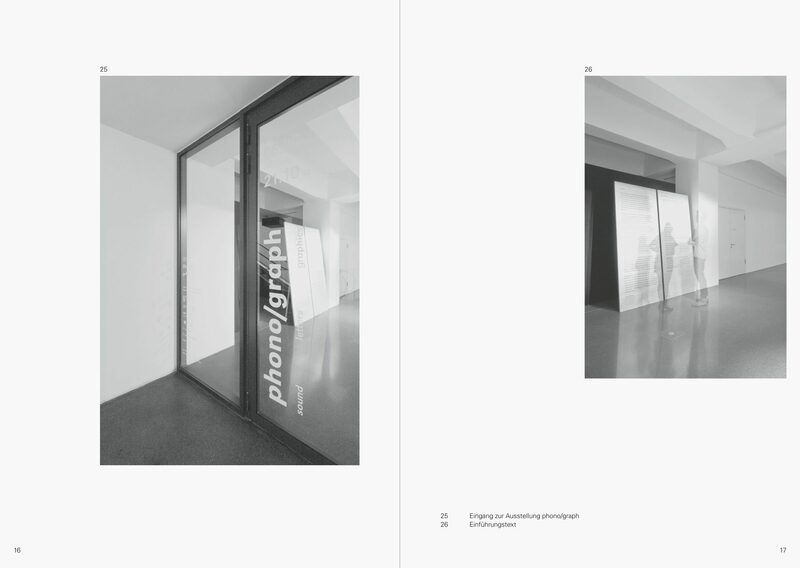 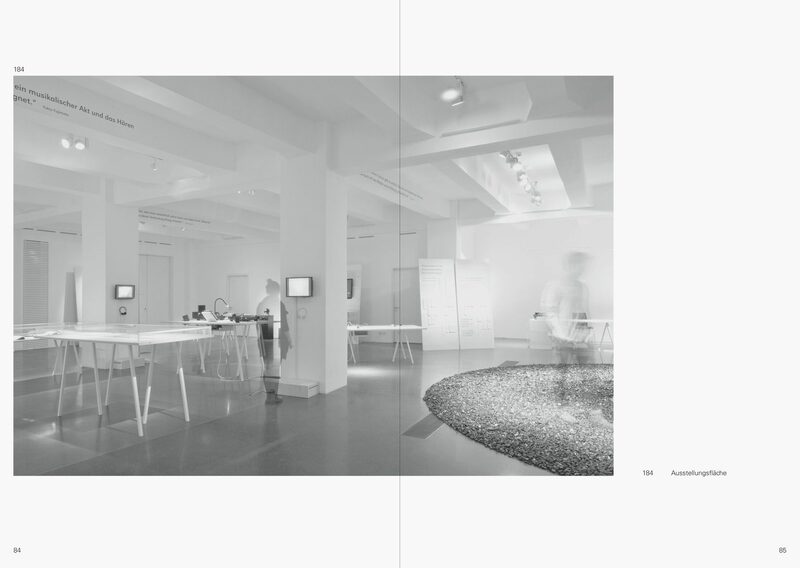 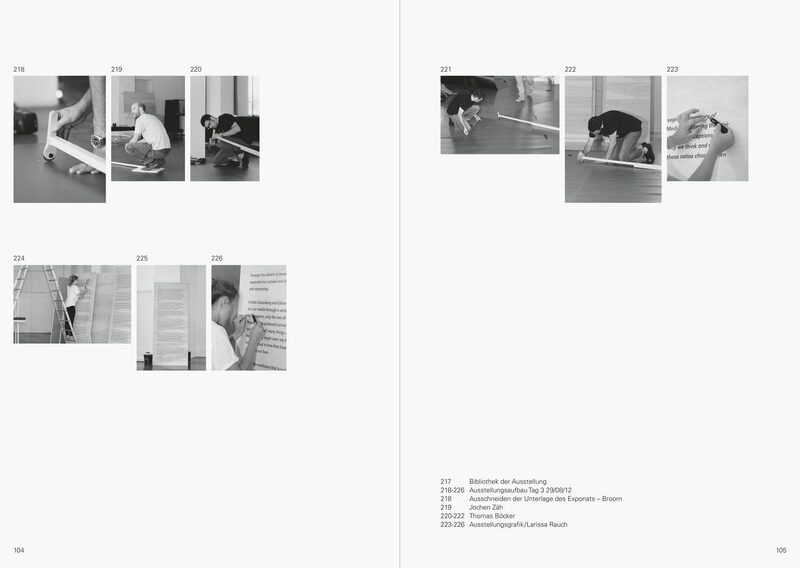 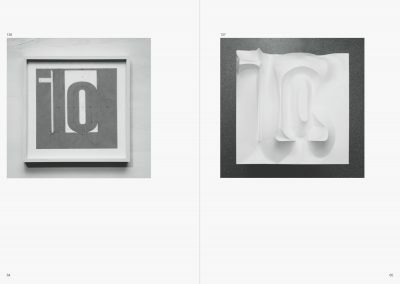 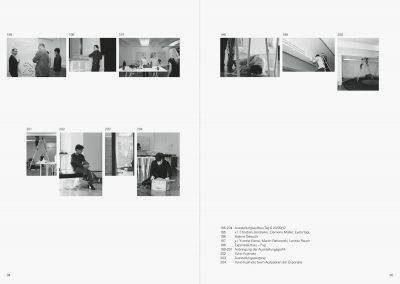 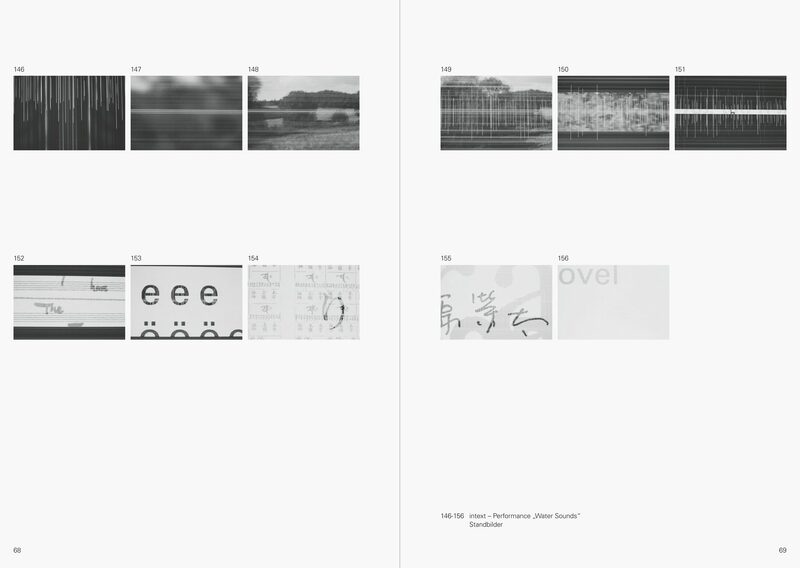 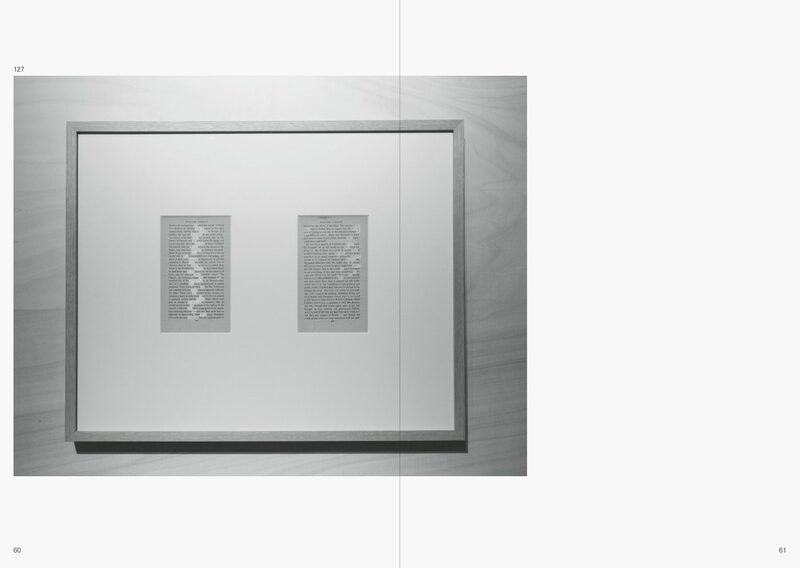 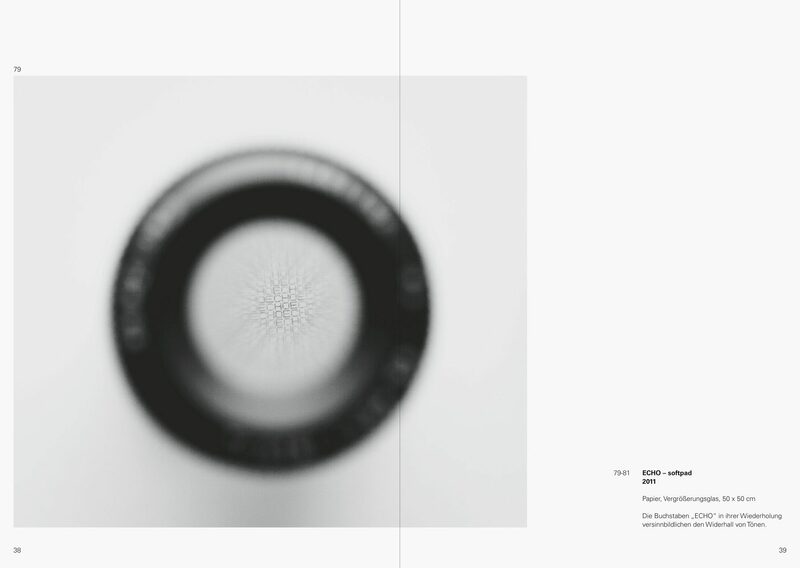 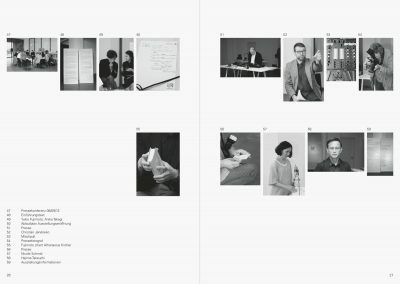 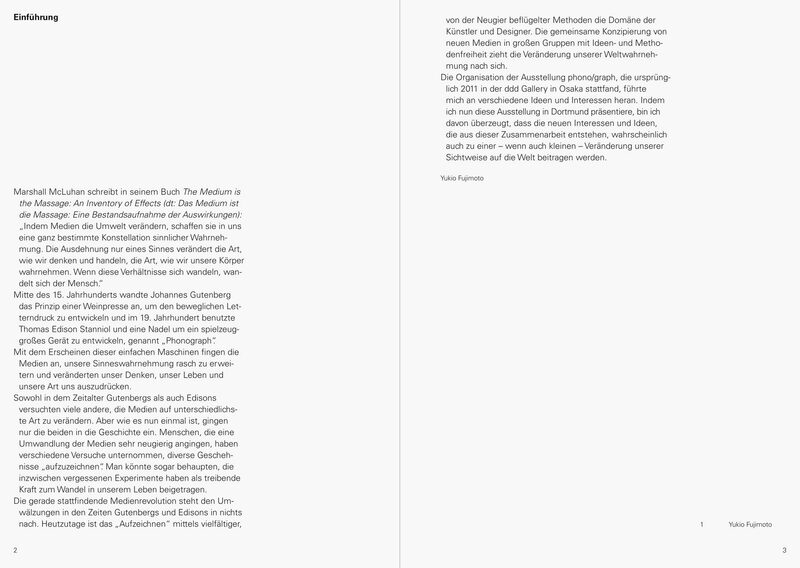 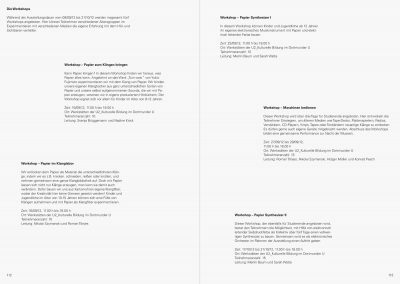 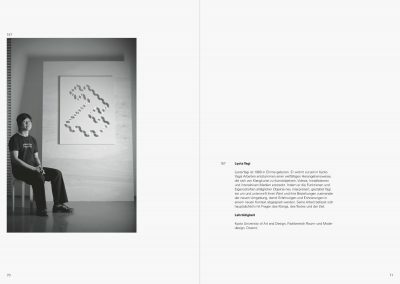 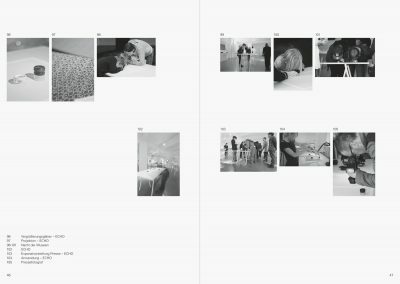 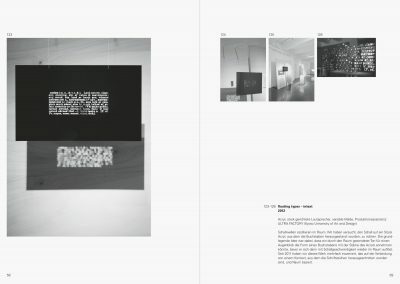 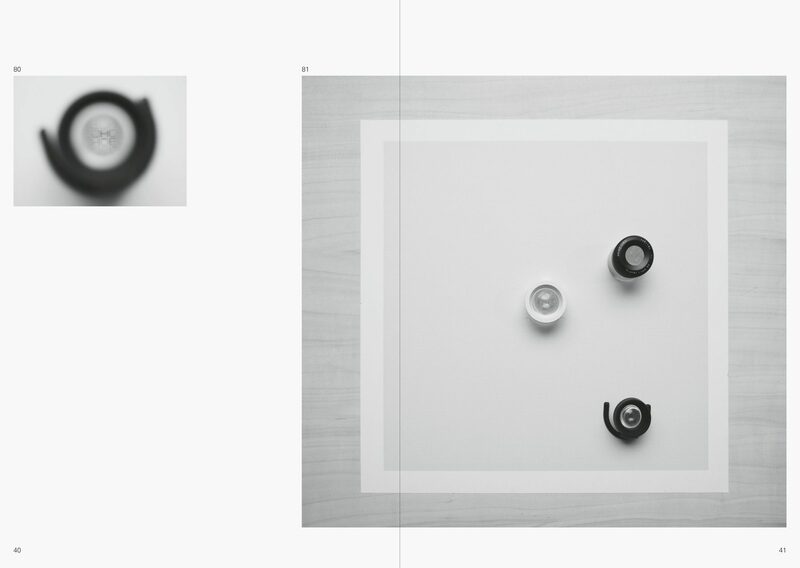 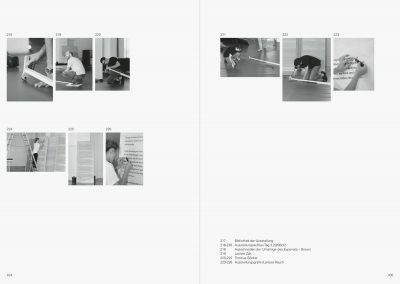 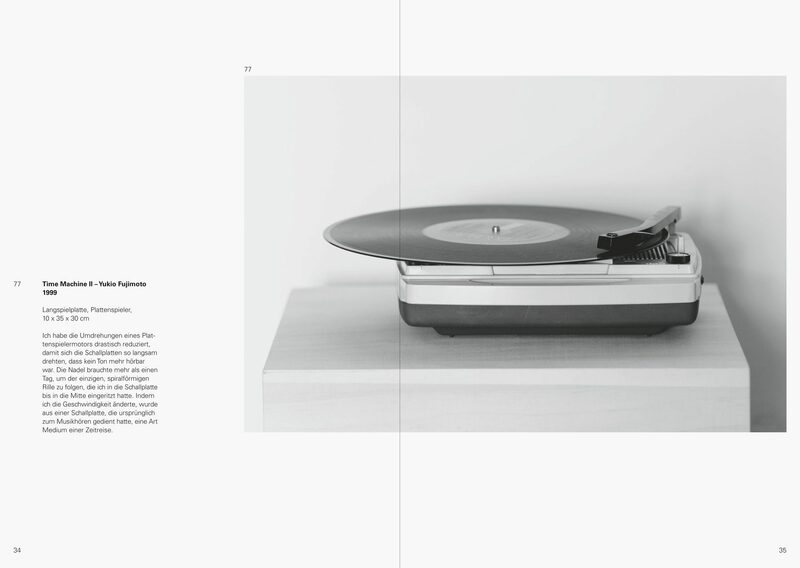 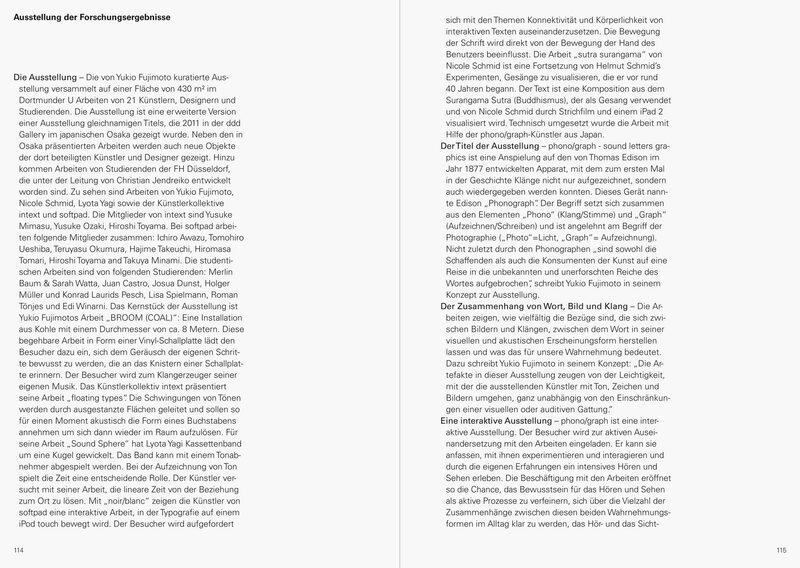 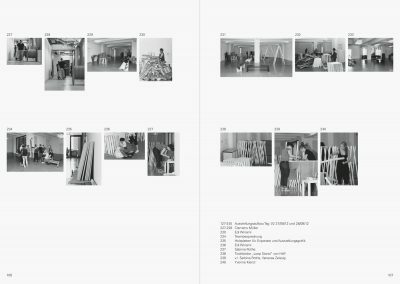 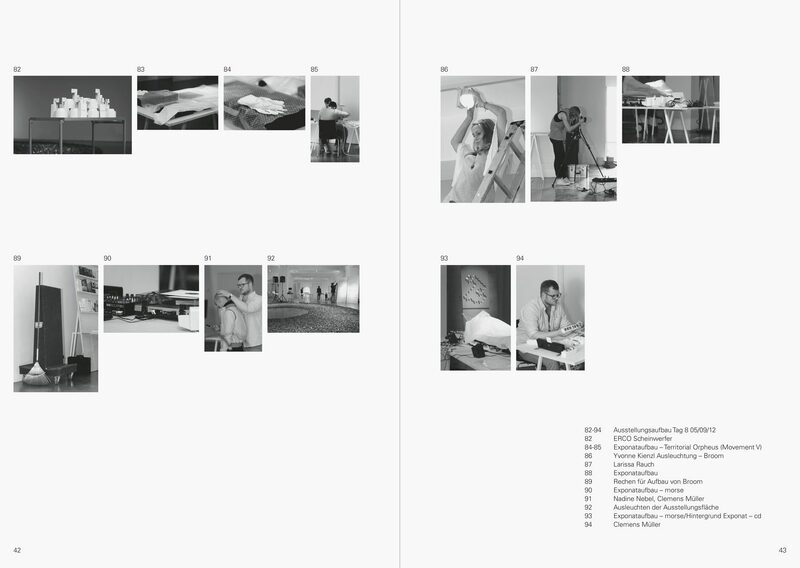 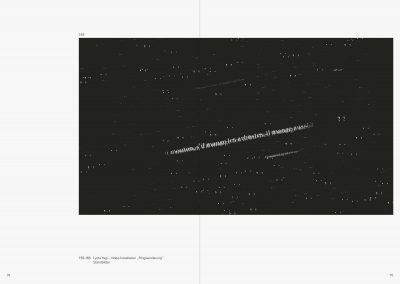 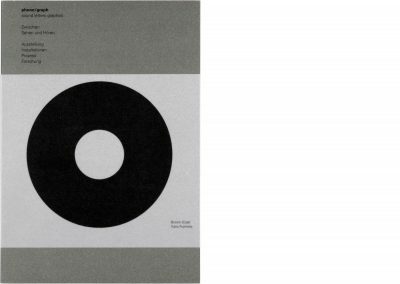 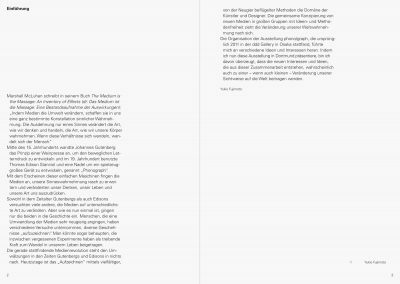 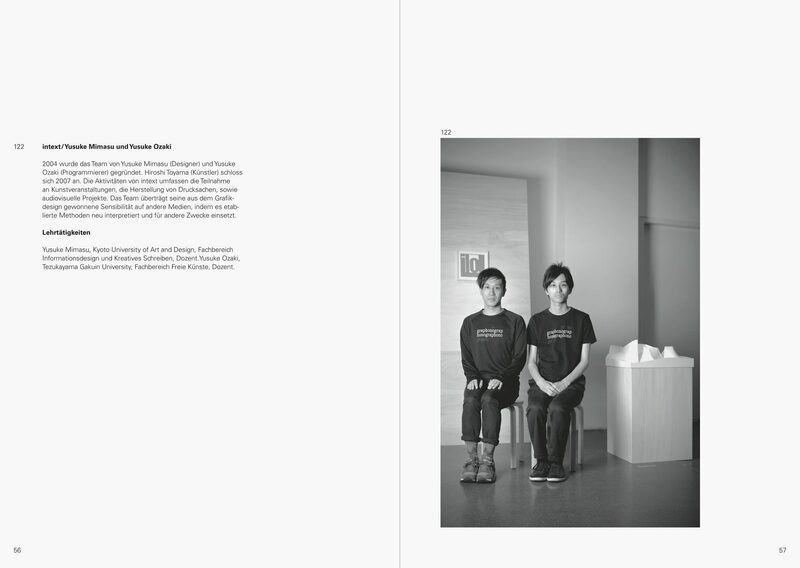 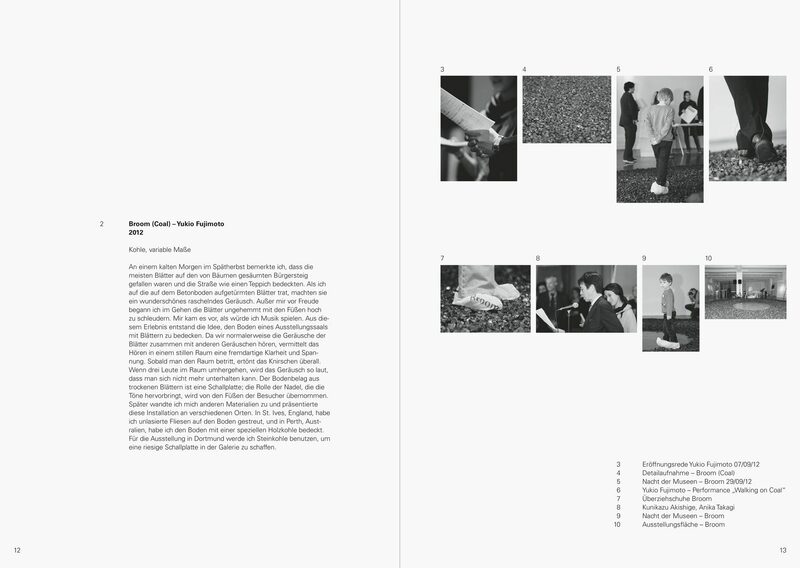 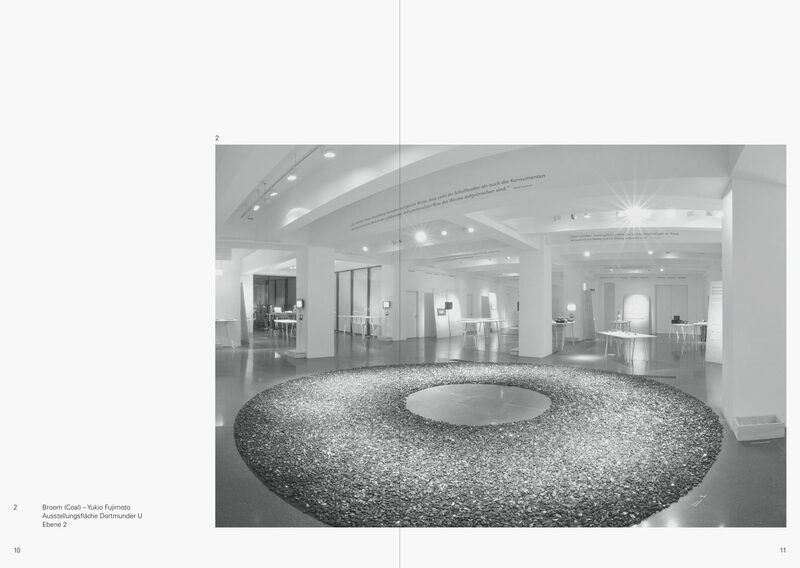 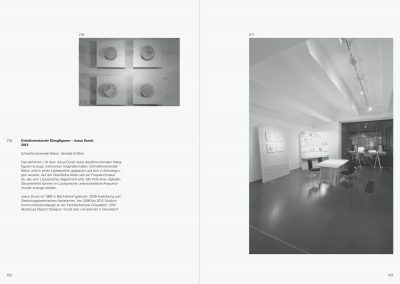 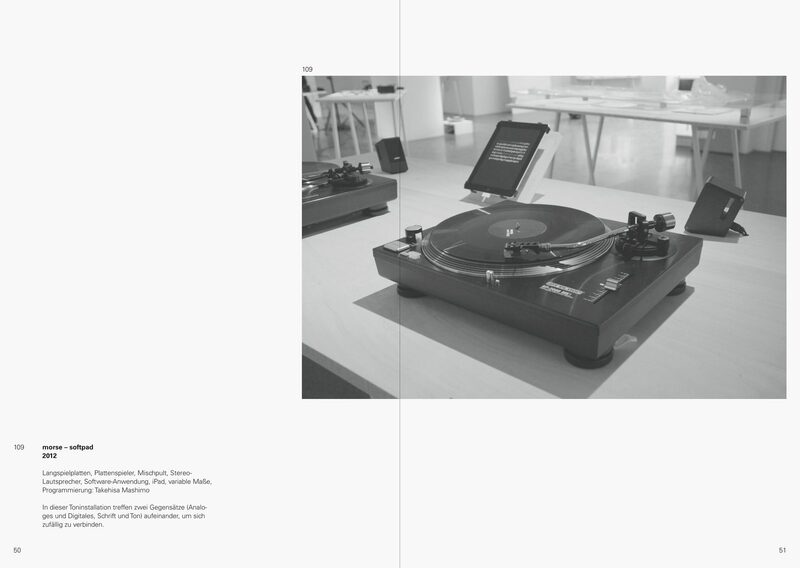 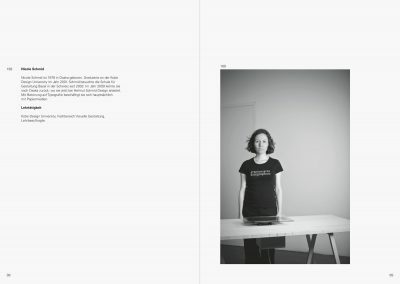 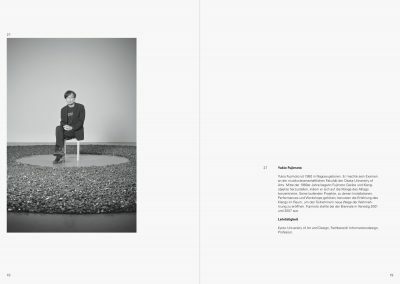 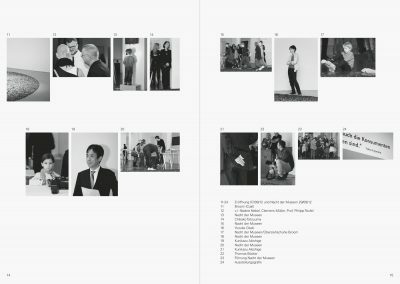 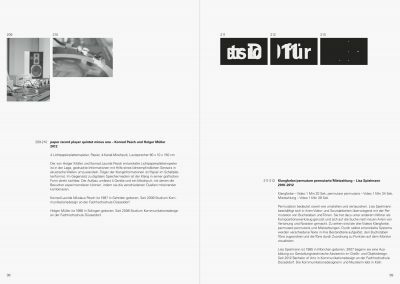 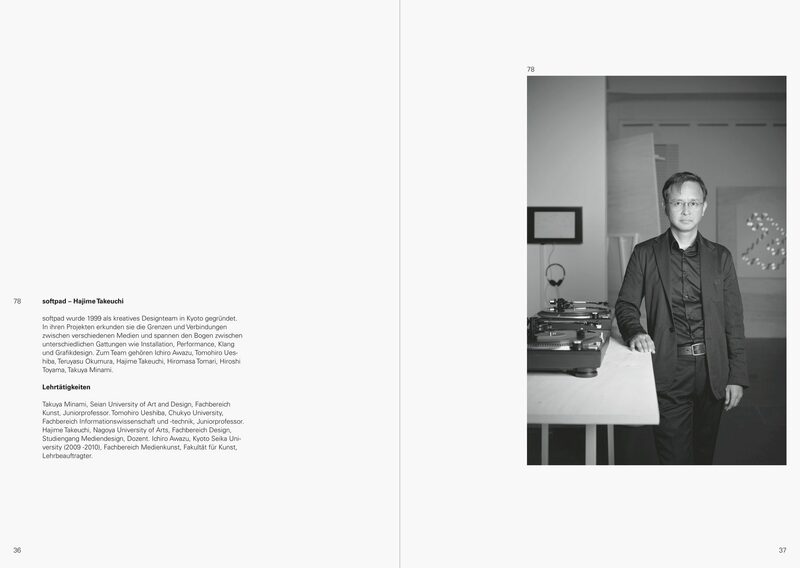 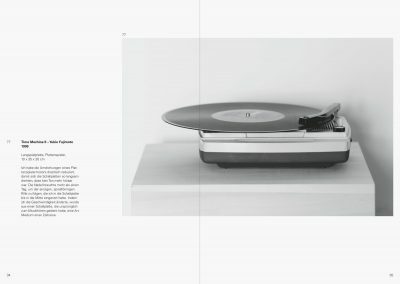 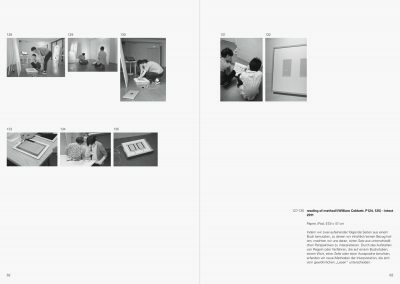 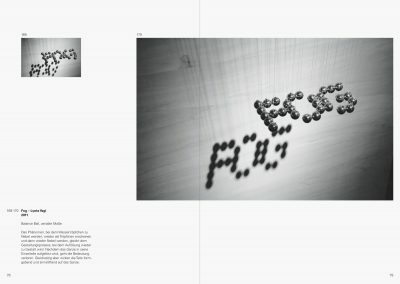 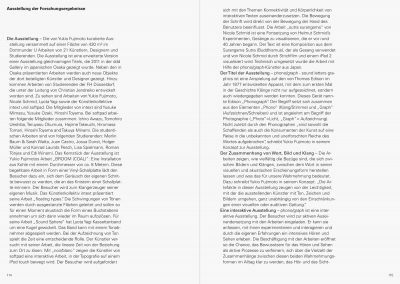 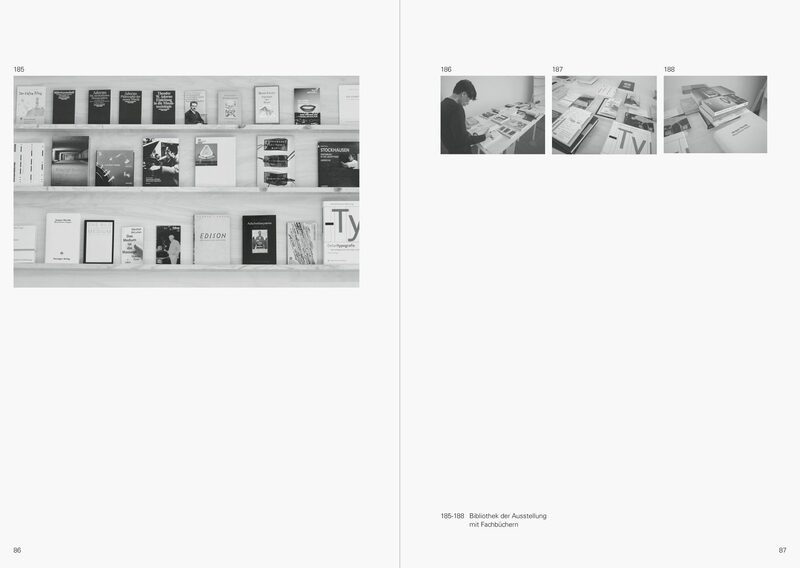 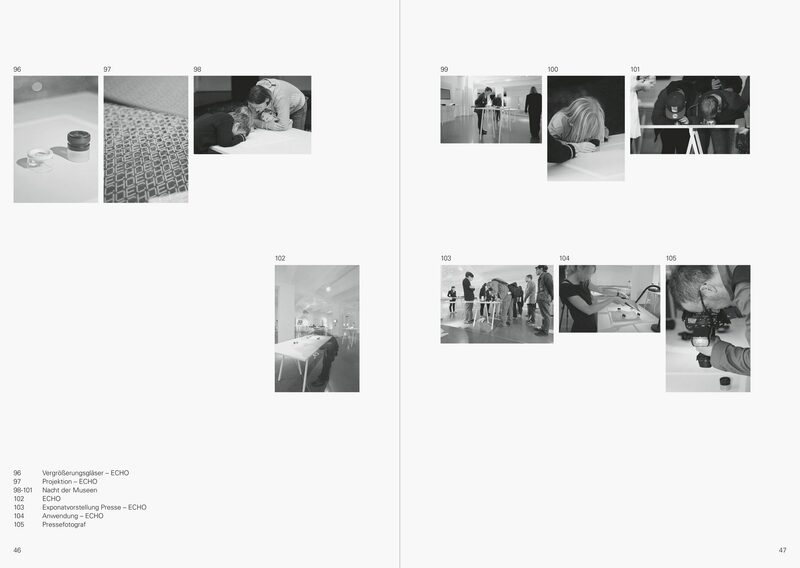 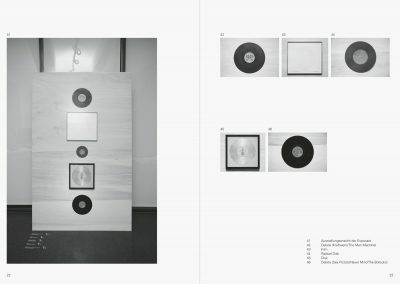 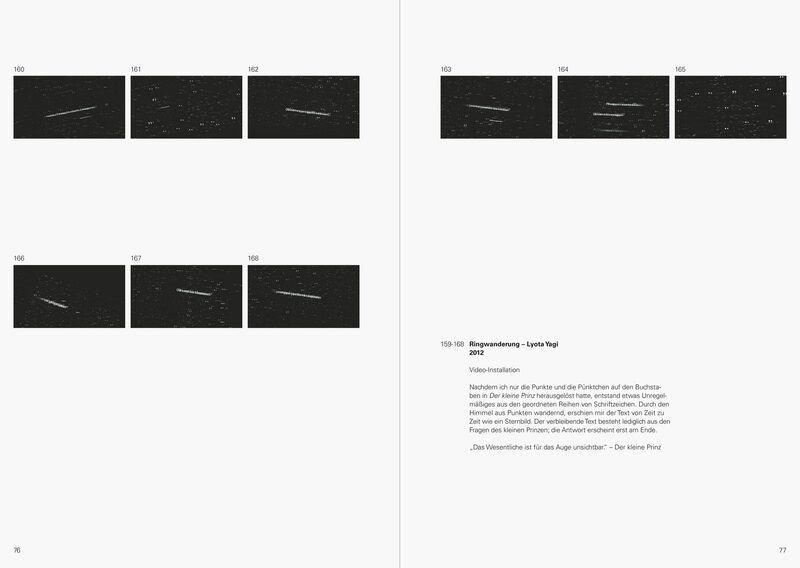 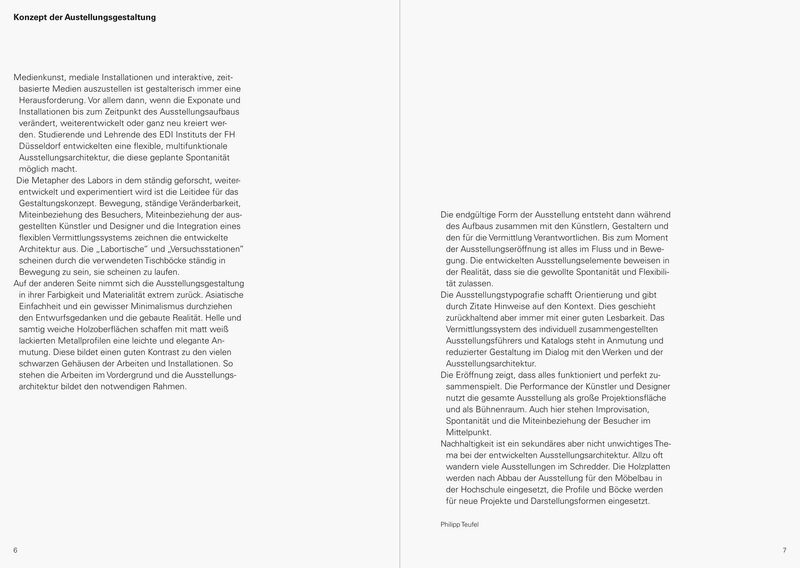 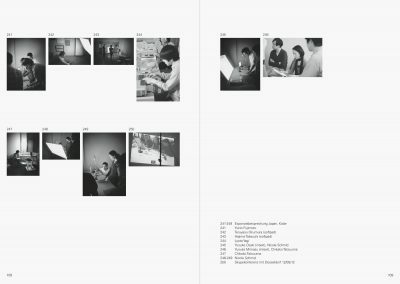 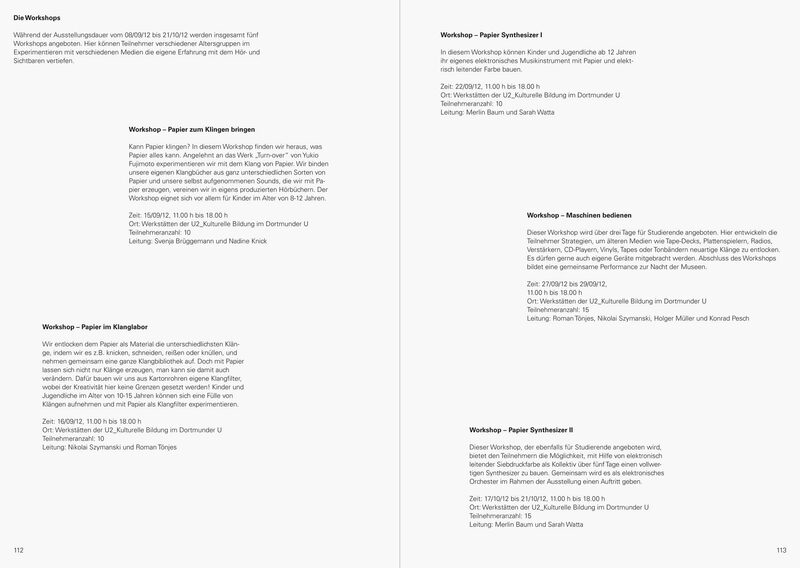 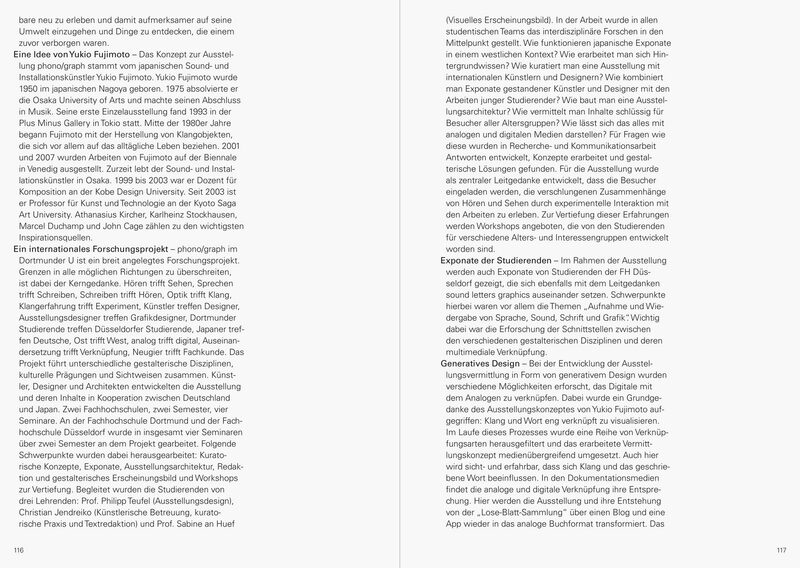 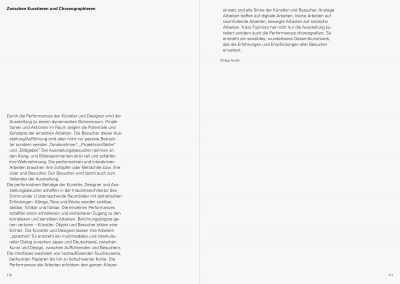 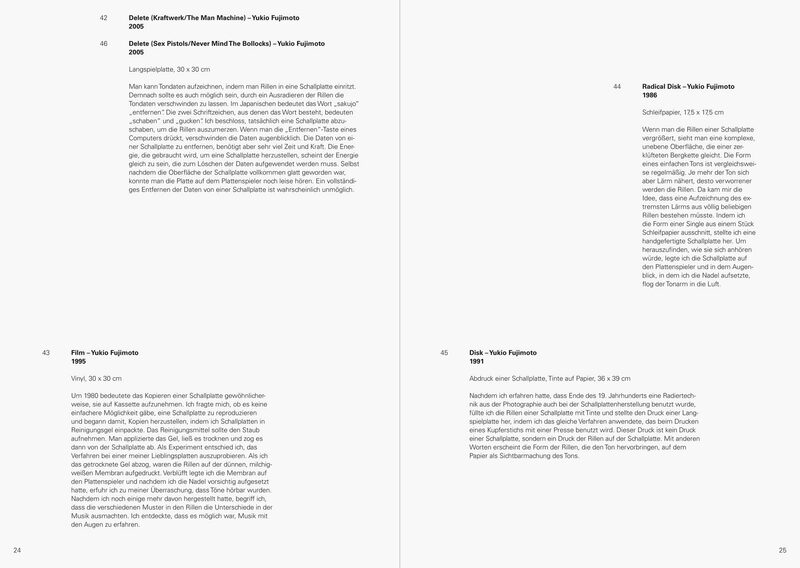 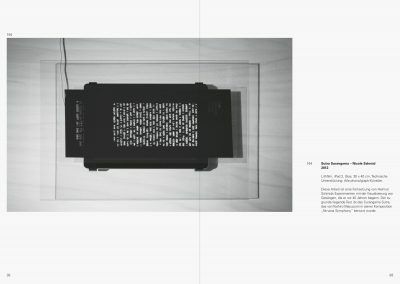 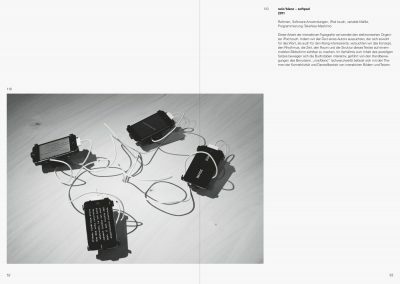 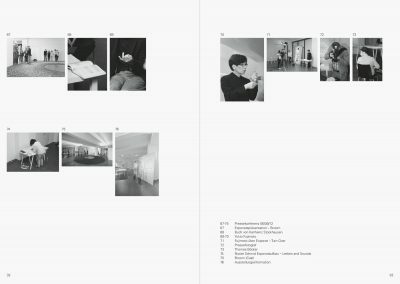 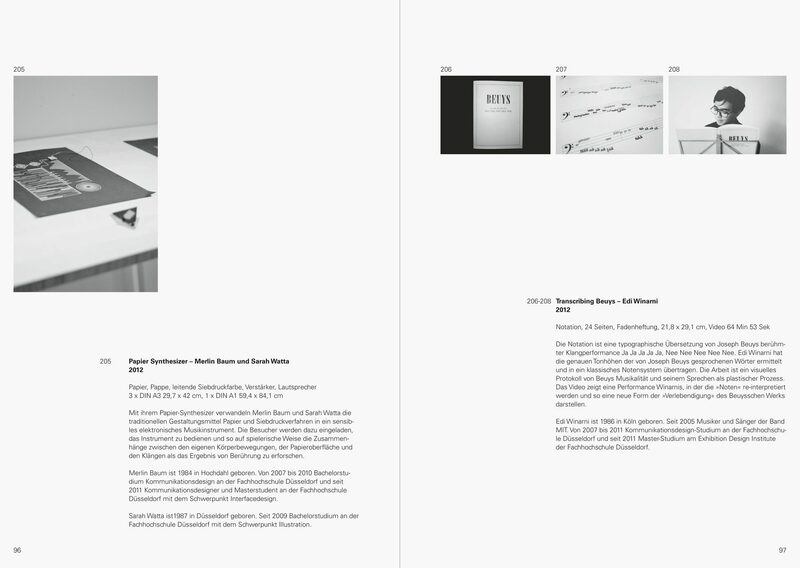 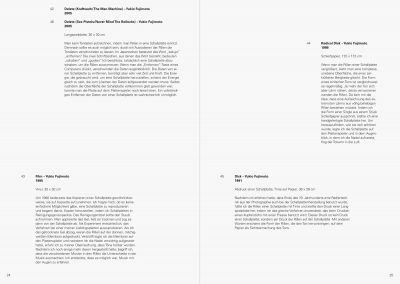 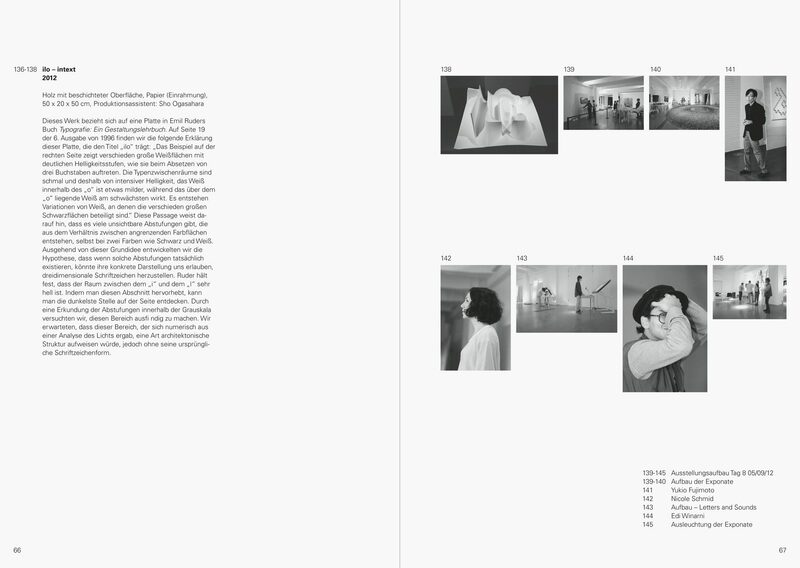 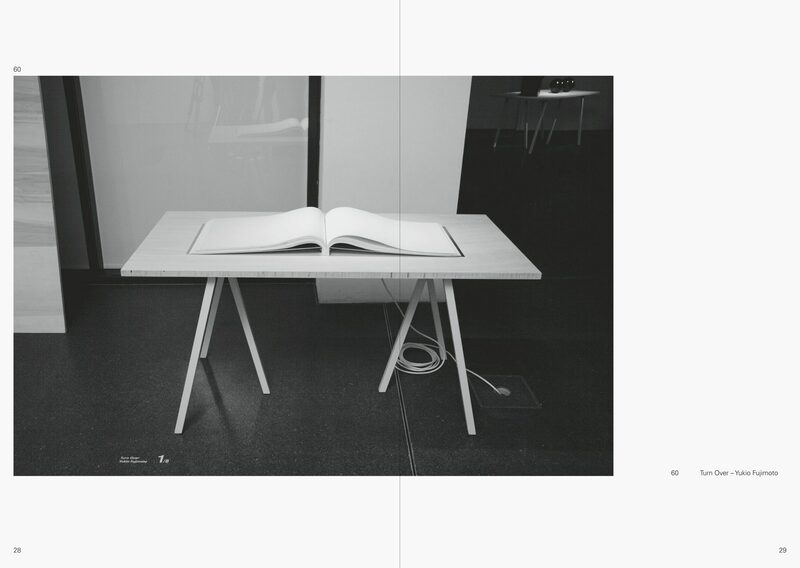 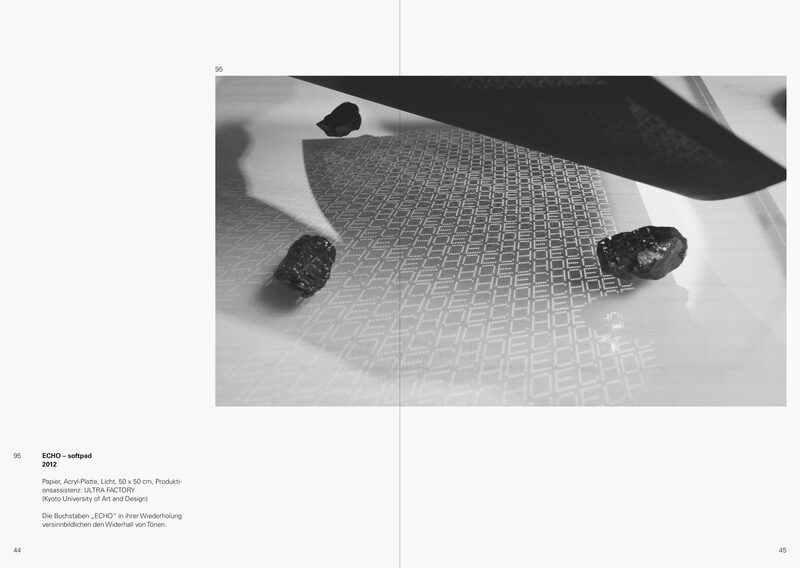 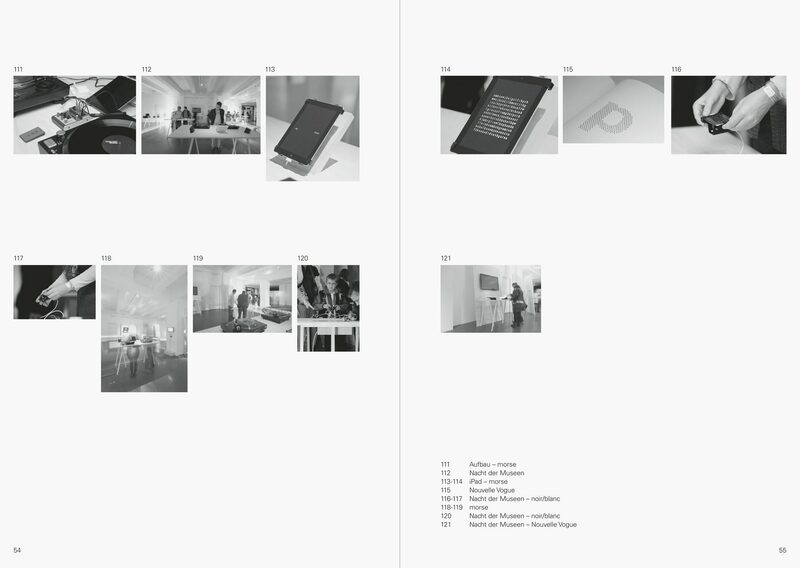 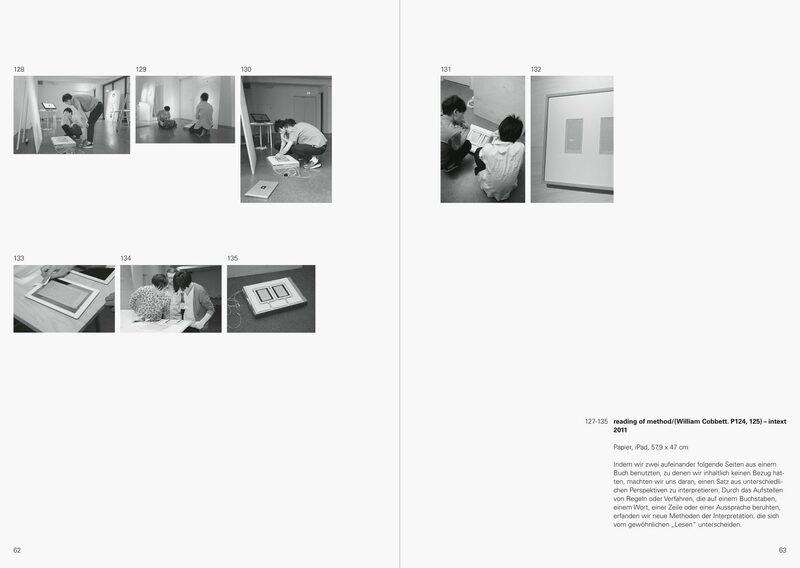 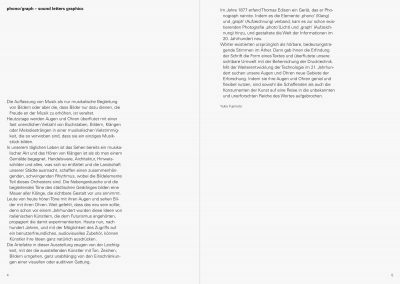 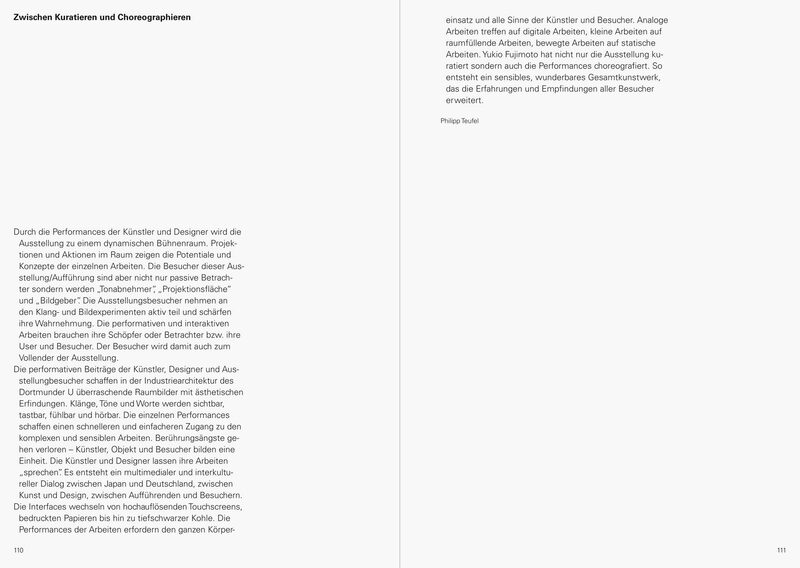 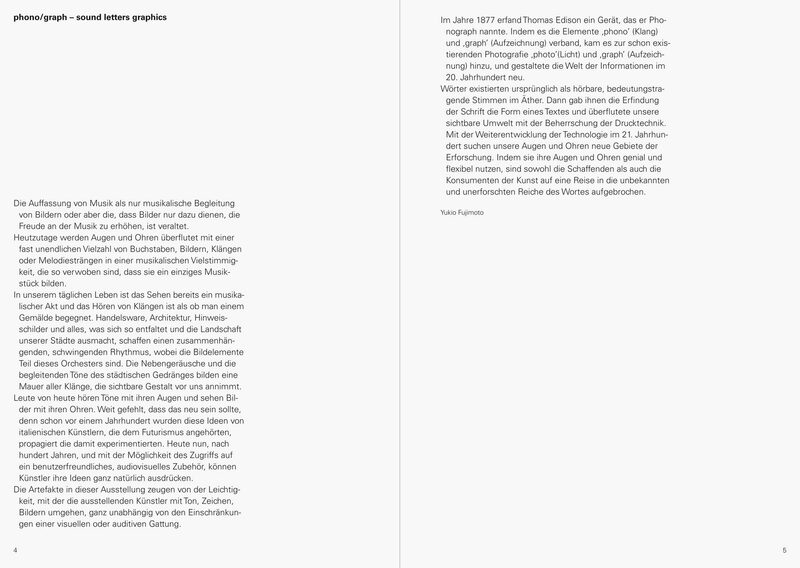 Similarly challenging in this case was the task of creating an exhibition catalogue in documentary form for »phono/graph – sound letters graphics«. 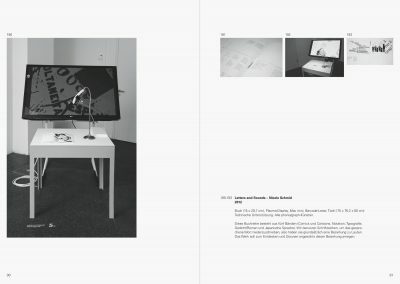 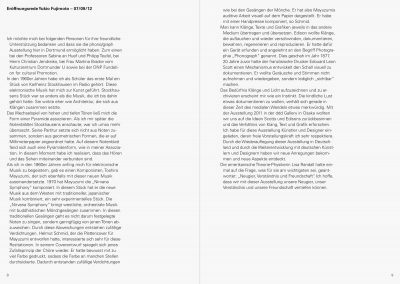 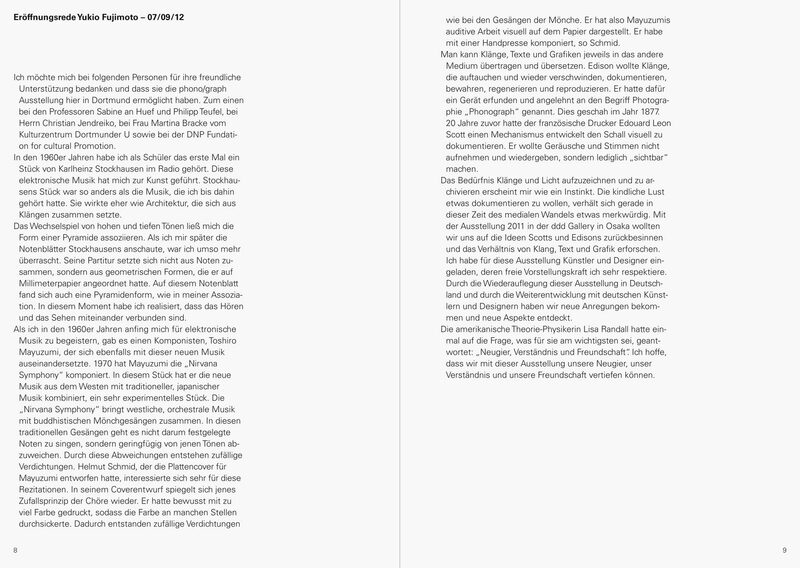 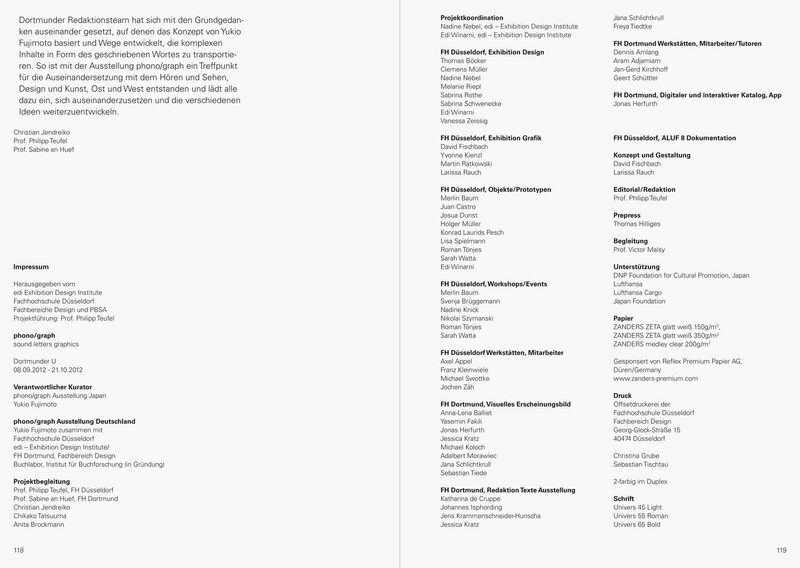 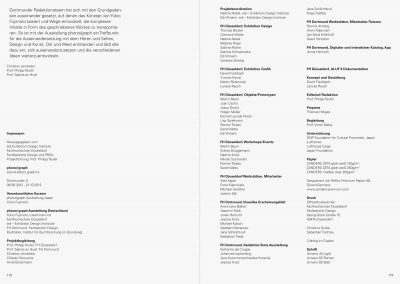 The documentary not only shows the exhibits on display but also the development process of the exhibition design, from the organisational stage to the first day of installation to the opening at the Dortmund U.